NOTE: Your new member card will reflect your actual renewal date. This category is for professionals that hold a cosmetologist, esthetician, nail technician, barber, salon owner or school owner license. Your membership supports your state organization and allows you local benefits offered by SSPA, such as state legislative advocacy, discounts on local education and events. 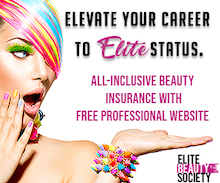 This category is for unlicensed individuals who work in the beauty industry or anyone who wishes to support the beauty industry through membership.Your membership supports your state organization and allows you local benefits offered by SSPA, such as state legislative advocacy, discounts on local education and events. Student memberships are for individuals who are currently enrolled in a cosmetology, esthetics or nail technology course at a licensed school. Student membership is for one year. Your membership supports your state organization and allows you local benefits offered by SSPA, such as state legislative advocacy, discounts on local education and events. Salon Group Membership $75 for primary individual and at least one other salon professional from the same salon. The second and above are at a $50 rate. The salon group membership is for salon professionals who work or rent in the same the salon. Each group has one Primary Member at the professional rate of $75, and the other employees or renters are at a reduced rate of $50. (Independent Contractors who wish to maintain their own individual membership must join as an individual. at $75.) Memberships in this category must we received at the same time to qualify. The company pays for the Primary Member and all the employees. The memberships will belong to the company and not to the employee. It is the responsibility of the company to notify SSPA of any changes in employee status and membership. The employee or renter pays a portion or all of the membership dues. The employee memberships will belong to the individuals and not to the company. Associate Membership is for companies affiliated with the cosmetology profession as follows: Manufacturers or distributors of products that are used in establishments where any of the major functions of cosmetology is performed; schools that teach any one of the major functions of cosmetology; and chains of establishments where any one of the major functions of cosmetology is performed. Membership in this category keeps these companies informed of legislative action that could affect the industry and supports your state Association in lobbying efforts. PLEASE NOTE: SSPA membership is open to Salon Professionals who reside in the United States. Dues may be deductible as an ordinary business expense under Sect. 162 - Internal Revenue Code. 35% of dues is not deductible based on SSPA's lobbying percentages. SSPA membership does NOT include membership in the Professional Beauty Association (PBA).